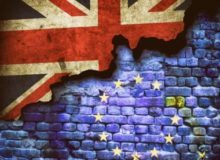 This article is a guest post by member and author Robert Pike a graduate of History and French from the University of Exeter. 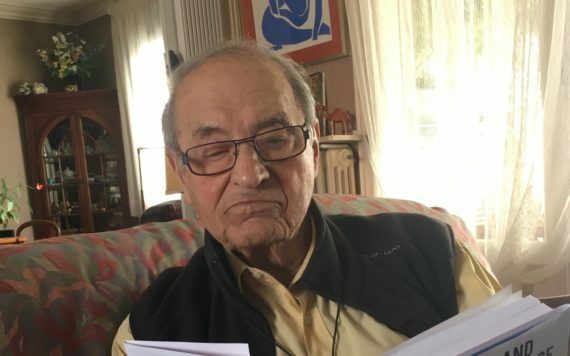 In April 1943 two young French men, both of Eastern European-Jewish heritage, struck up a friendship with Maryse Nicolas and Monette Leclerq at a cinema in Périgueux, the principal city of the Dordogne. The smell of perfume, unusual during the trying times of the dark years of German occupation, and the handsome silhouettes of the attractive girls in the gloom of the theatre, had drawn Ralph Finkler to pluck up the courage to make conversation. It was during a conversation in a café after the show had finished however, that the girls, Ralph, and his friend Léon Lichtenberg, secured a lifelong friendship that survived the harsh dangers of involvement in the French Resistance, and even saved the lives of Ralph’s parents. When war broke out in September 1939, areas of southwest France, such as the Dordogne, temporarily became home to many thousands of refugees evacuated from the Alsace-Lorraine region, where fighting was expected to be particularly fierce. Strasbourg’s civic services were moved to Périgueux including its hospital and town hall staff. The war in France war ended in May 1940 as the Nazis overwhelmed and encircled the French army and the British expeditionary force. As a result, France’s politicians dissolved the Third Republic and Marshal Philippe Pétain, a hero of the previous world war for many French people, took power and negotiated a deal with Hitler. 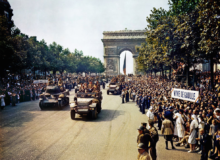 France was carved into the northern or occupied zone that included much of northern France and the western Atlantic coast, and the southern or so-called free zone that came to be known as Vichy France. Here it was intended that Pétain’s authoritarian government, in which no political parties were allowed, would work in partnership with Germany. Pétain believed that France might regain its standing in the world in partnership with Germany. Hitler had no such intentions, intending only to drain France of its resources and labour force. At first Germany’s leader played a clever game and most of the French population put their faith in Pétain’s policy of collaboration, however distasteful they may have found the idea of German occupation. French resistance was slow to form. An unknown General called Charles De Gaulle had fled to London with a view to organising a French military response from North Africa and Britain, but numbers were not on his side. His plan was to encourage military personnel who had been decommissioned in June 1940, but not already imprisoned in POW camps, to organise. 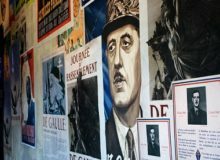 They would be aided by De Gaulle’s agents sent from London, who would work with supporters within the Vichy government, and within the very small armistice army allowed by Nazi Germany. Ordinary French people needed to be on board too. Armed guerrilla units called Maquis were almost non-existent before February 1943. At that moment Germany, having opened up the Russian front, was suffering, and demanded French conscripts work in Germany. Large numbers of young French men fled into hiding to escape the Service du Travail Obligatoire (STO). Some of them would eventually help swell the numbers in the Maquis camps. More commonly, early Resistance took the form of protest, and this is what Ralph Finkler and Léon Lichtenberg had been involved with even while they were still at lycée. As clandestine networks spread propaganda and civil action took the form of demonstrations, links between such protest groups formed throughout the southern zone. Ralph and Léon became involved in the Mouvement national contre le racisme (MNCR), and worked hard making leaflets and papillons, little stickers carrying messages such as Vichy source de traîtres and Mort à l’envahisseur allemand. The small group used ink and stamps carefully bought from the local Uniprix store. It was at this time that Ralph and Léon met Maryse and Monette. Despite outward appearances and their similar ages, Maryse was Monette’s niece. The pair were new to the city, having recently crossed over to the southern zone. 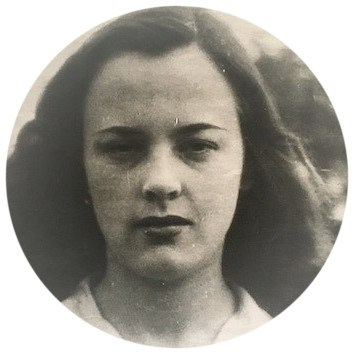 Maryse Nicolas lived in Pisany, a small town near Royan and close to the German works constructing the Atlantic wall. In Pisany, Maryse was becoming well known for her outspoken views. After throwing the contents of a chamber pot out of a window and onto the head of a German soldier, her family felt she should make herself scarce for a while. It was decided she should spend some time in the relative obscurity of the city. Maryse’s young Aunt, Monette, agreed to accompany her and the pair found accommodation together. Soon after meeting Ralph and Léon, the two young women became an important cog in the machine of the local branch of the MNCR. The nature of the group’s protest changed as the network, an offshoot of the communist Francs-Tireurs et Partisans (Françaises) FTP, encouraged more direct action against well known collaborators. Ralph and Léon organised other young like-minded people in a strictly structured hierarchy, as dictated by the FTP central committees. Windows were smashed with bricks carrying messages intended to scare people known to be collaborating with the German and Vichy police. Resistance propaganda was spread through posters and newspapers. But when security began to break down in early 1944, Ralph and Léon decided live clandestinely and found a way into the Maquis. Maryse and Monette, entrusted with that information, continued their work with the MNCR. The life of a maquisard was tough and extremely frustrating, especially for newcomers. The two young men found themselves in a Maquis affiliated to the Armée secrète (AS) group. The AS followed the preferred tactic of De Gaulle called l’attentisme, which meant holding back on direct action and instead training in earnest for D-day. Dismayed by the lack of action, Ralph and Léon managed to get transferred to a more active communist FTP group and soon they felt they were actively participating in the war. Disaster struck one early morning when the group was resting at a deserted barn. Their brigade had been tracked down and were attacked by the French militia. Léon was on patrol, but Ralph was the only survivor of those within the barn, as four of his comrades died in a shootout. As the group rebuilt, their commander wanted better communications and declared that he needed liaison agents. These were recruits who carried on their normal lives while still being actively engaged in dangerous resistance activities by carrying messages, supplies and sometimes even small arms under the noses of the occupying forces. Such activity was highly dangerous and often carried out by young women travelling on bicycles because they could more easily distract German soldiers or police officers. A great number were arrested and subsequently faced deportation. Ralph and Léon knew that if anyone could be trusted to do it, Monette and Maryse could. The girls travelled great distances whilst completing tasks with audacity. Sometimes they travelled to the large city of Limoges, sometimes to Siorac-en-Périgord or Vergt, both large villages that had earned the reputation of capitals of the Maquis. Maryse took the nom de guerre Michel (a boy’s name) and her aunt Monette became Lina. Arrest while carrying false identity cards or gun parts, the type of missions they happily accepted, would have carried very grave consequences. The dark cloud of antisemitism, by no means new to France, hit the southern departments as Hitler’s final solution got underway in 1942. Most of the refugees had returned to their homes in the now German-annexed Alsace-Lorraine in September 1940, leaving behind many French-Jewish families in a part of France where Jews were previously practically unheard of. From late March 1944, large German units were sent to the towns and villages of southern France with a dual-purpose – to destroy the Maquis by targeting the population through terror, and to arrest and deport Jews to the death camps of Eastern Europe. The local populations rose to the occasion by hiding many refugees, but those such as the Ralph’s family were in particular danger. They believed themselves to be safe since their arrival in France far pre-dated the Vichy regime. They were wrong, as legislation on the removal of ‘indésirables’ matched and even exceeded that drawn up by the Nazi hierarchy. 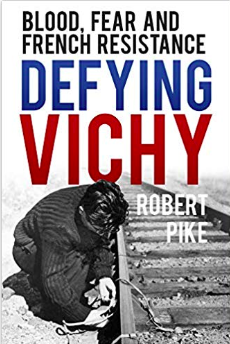 Vichy politicians such as Pierre Laval were keen to fulfil quotas set by the Nazis and raids (rafles) took place in the Dordogne and elsewhere throughout 1942, 1943 and 1944, even continuing after the D-Day landings had sparked German thoughts of retreat. As the rafles stepped up, Ralph returned clandestinely to Périgueux where he had a brief meeting with Monette, Maryse and his parents. After emotional farewells, the girls hid Benjamin and Ida Finkler for a short time in their own apartment before putting into action a plan they had devised. Each girl took one of Ralph’s parents by train through the checkpoints of the demarcation line, armed with false documents and false names. Ida and Benjamin were told not to speak much lest their Romanian accents be noticed. Tense though the journeys were, given the great danger that Monette and Maryse had placed themselves under, the plan worked, and Ralph’s parents were accommodated for the rest of the war in the home of Maryse’s parents in Pisany, in relative anonymity. The protection afforded to the couple at great risk earned Louis Nicolas and his wife the Juste parmi les nations (Righteous amongst the nations) award. 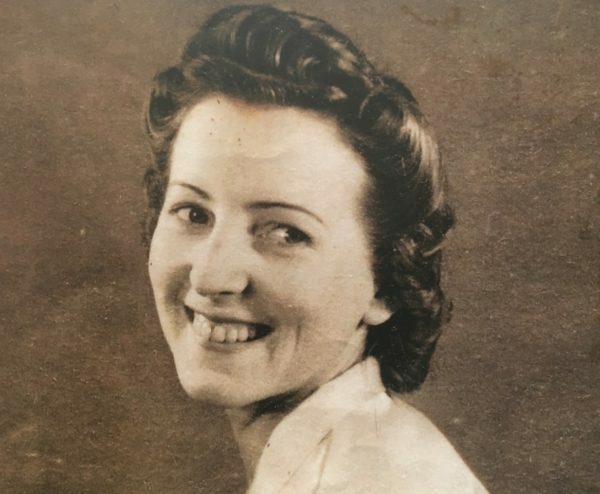 After delivering Ralph’s parents to safety, Monette and Maryse rushed back to the Dordogne to continue their Resistance work throughout the tumultuous summer of 1944 and the liberation of Périgueux at the end of August. The war was not over for Ralph and Léon however, as they led a Jewish brigade of maquisards into battle against the remaining German forces on the Atlantic coast. When the fighting was over, Ralph found the Nicolas family home in Pisany, where his parents were safe and well. Just one month after Monette and Maryse had rescued Ralph’s parents, the rest of his family were arrested. An aunt, an uncle and two cousins, one of whom was just eight years old, were sent to Auschwitz. 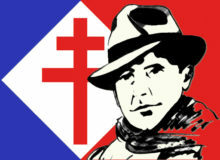 France has struggled to come to terms with its Vichy past. Likewise, it has struggled to define what just what French ‘Resistance’ was. It is important to remember that the concept of the French Resistance transcends the image of the maquisard camping in the woods. Those who continued in their jobs whilst assisting the Resistance networks by spreading propaganda or creating false documentation in town halls placed themselves and their families in just as much danger, if not more so than those who took to the forests. The many women and men who supplied the fighters with food or shelter, or who protected persecuted families also took risks that carried with them the possibility of arrest and even death. There were so many more just like Maryse and Monette, whose story is just the tip of a very large iceberg. Did you enjoy the story of Maryse and Monette? Share with your thoughts with us in the comments section below. 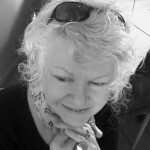 Carloline Moorehead, author of Village of Secrets and A Train in Winter. Amazing heartfelt stories, they make us wonder if we could have been so brave in those circumstances..